The kitchen floor had just been freshly mopped clean of a weeks’ worth of crumbs, dog hair, dirt…. and this happened …at 11pm. 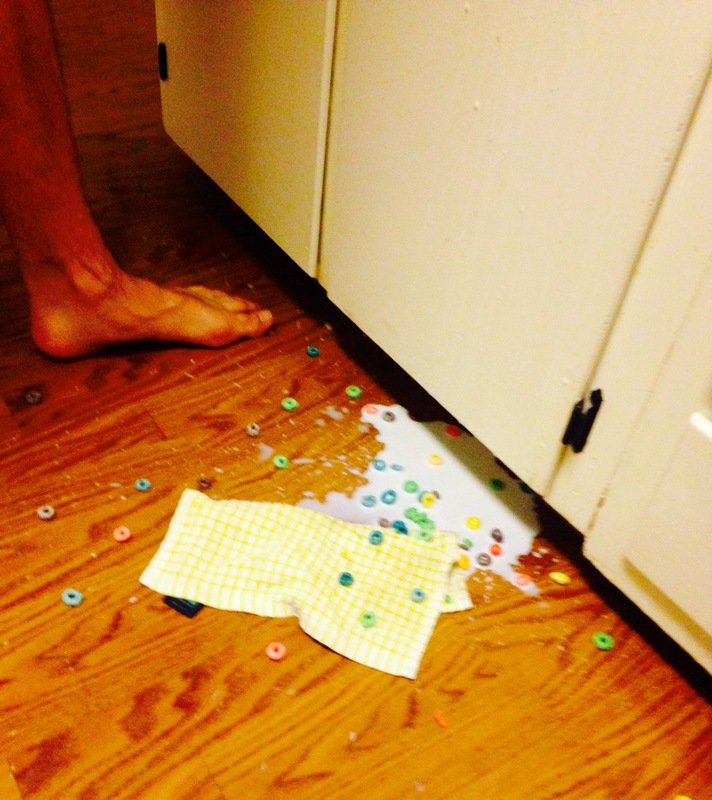 I kicked into off-my-rocker mode screaming at my middle child….. and then while cleaning up the milk and fruit loops from the counter, the inside of the kitchen utensils drawer, and the floor….a feeling of peace came over me. My screams and impatient feelings quickly turned to feelings of gratitude and love and we ended up hugging and talking about God’s grace through His son, Jesus. I think God just loves to add spilled milk to our perfect days every now and then to bring us back to CENTER. My middle child is 13 now and one day not too far from now…I bet I’ll remember all his spills and breaks and ooopsies …and I’ll smile knowing I shared my faith with him …and I pray he remembers it! ….and really…it IS just milk on the floor.